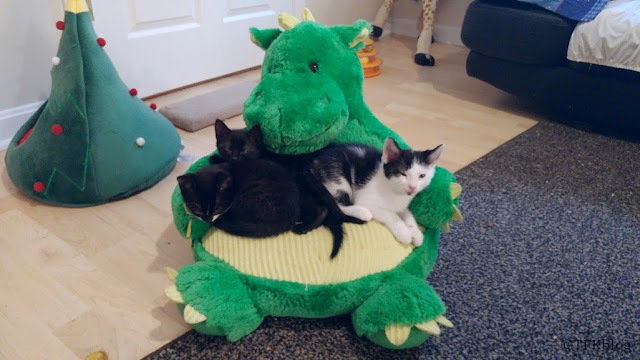 I pulled out Happy Dragon the other day and the kittens jumped right on and made it their own. So I posted a photo on facebook with the hashtag #whereisHappyBear and I was pleased that so many of you miss him. Happy Bear is actually in that back closet waiting for me to clean him up. 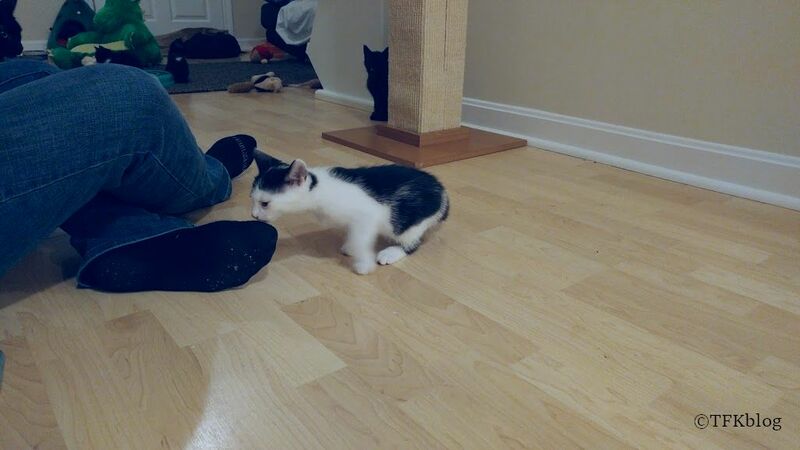 The last time he saw a kitten was when Graham was having seizures and when he would he lost his bladder. It has some hard memories for me so I've put off dealing with it. My initial assessment that Happy Bear was fine and didn't need a bath, but I haven't pulled him out again and checked him over again to be sure. I will this week because I really do miss him and the memories are easing and seeing kittens piled on Happy Dragon helps me to remember the good memories. I am sorry I didn't post last week. After sharing on Monday I then lost power for two days and then I had a major allergic reaction and my lungs decided they didn't want to be in my body any more so I spent the next few days coughing. The kittens are doing well. Kreb has developed pink eye. No other symptoms not sure what is going on. These kittens have had weird eye issues since they were born, getting weepy and then clearing up, etc. They are going to get their first set of vaccines today, and we will just be waiting for them to make weight to go up for adoption. 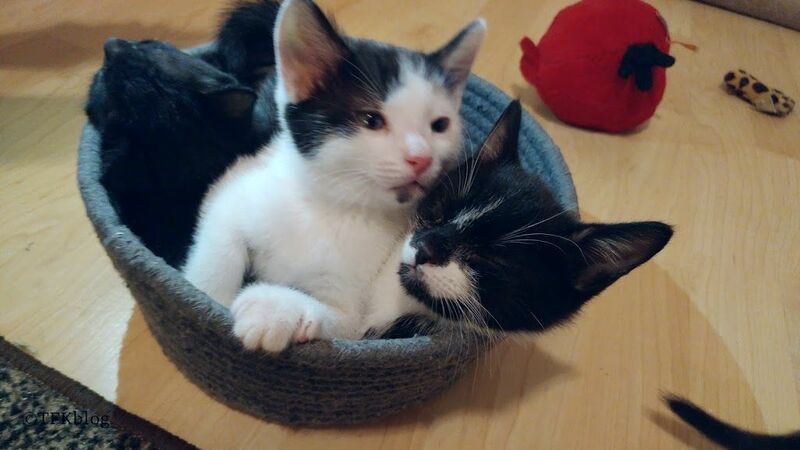 We have a few people sign up for kittens already so I know they won't be waiting long at all. 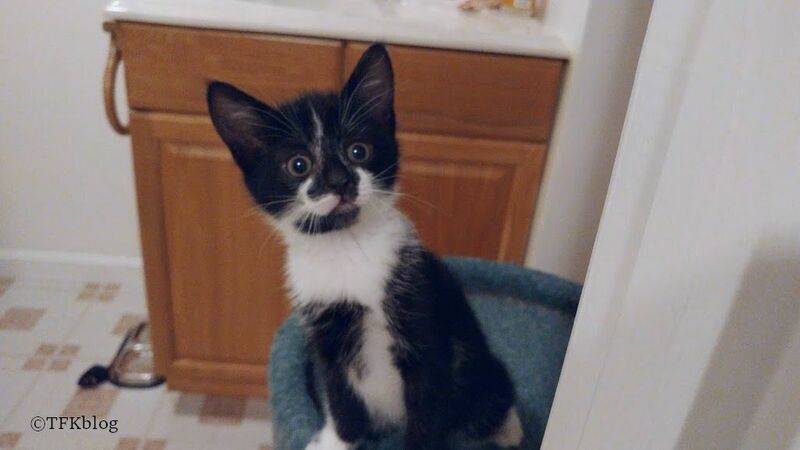 We almost got a couple of kittens adopted by The Tuxedo Trio. I met their mom Deb at BlogPaws and she saw their little faces and had to come visit. 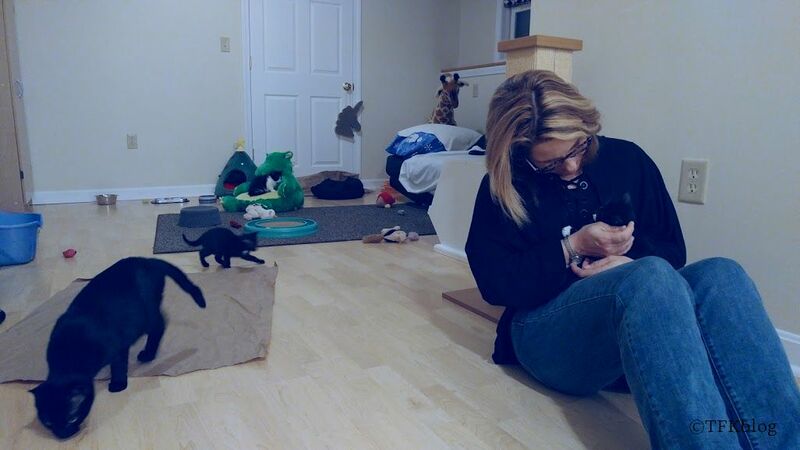 I sold her on a couple of different kittens through out the visit.. but once she got home and thought it over she realized that bringing kittens into the house with her clowder wasn't the right call. I will admit, I'm sad because I would have loved to see what she did with them on social media, but I totally respect honoring the wishes of the resident cats. I then had another visitor this weekend. I have created a Christmas card for this year featuring Onyx and her kittens, I'll post tomorrow the form to get one. We all must do things in the manner and order that suits each individual; there is no comparison between how one person deals with loss, and another. Go step by baby step. I hope Happy Bear returns soon! You've sure been busy. I'm glad Happy Dragon is filling in for Happy Bear. We are glad Happy Bear will return soon. 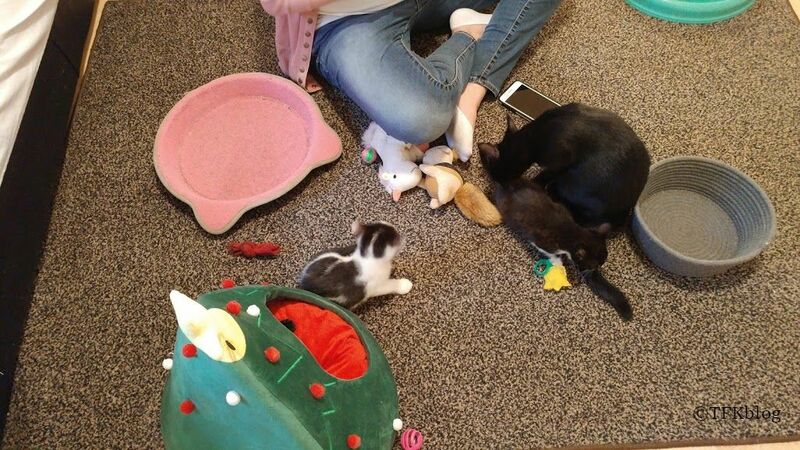 And yeah.. kittens do tend to be a big draw. Oh my goodness, what adorable pictures! The first and third are especially priceless, and the kittens look very comfy on Happy Dragon. Well OF COURSE I wanted to see you. I wanted to see everyone... Twee, Fleurp, Skippy, Muffin, Eli, mamas, kittens, and YOU. We have kittens in Michigan. I didn't have to come that far to see them (although your kittens are always extra special). Happy Bear will can wait as long as necessary. Take your time. That's what dragons are for.